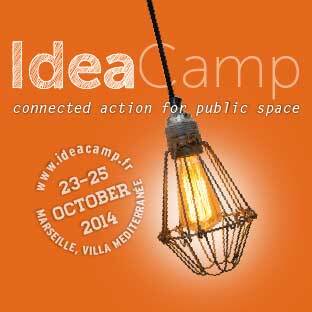 I was recently intrigued to be asked by the European Cultural Foundation.to coach at an event called Idea Camp. What a fascinating concept. Not a Startup or Business Bootcamp, as I am used to when being asked to coach. This was an Idea Camp, where 50 selected Idea Makers shared their creativity, after being selected from over 800 applicants.. And I would be an Idea Feeder. 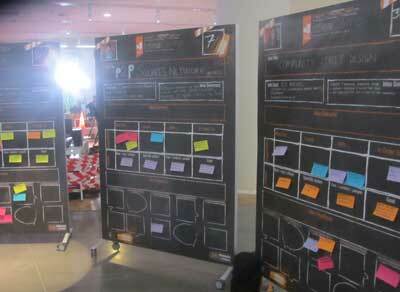 There were two themes; Public Space; and Ideas on Wheels. It’s not something I’ve ever thought about: Public Space is just… well, it’s about spaces that are public, right? Yet as I learned from the 50 Idea Makers, Public Space is a concept that is getting eaten up, as development and industry booms and expands. All 50 ideas were around how to use Public space to benefit society: from the Trocadero dance troupe, through to shared gardens, physical game spaces and the revival of the banks of the Dnieper river in Kiev. When developing the concept of this event, Enrique and Andras created canvases that enable ideas to be described, feedback to be given, scenarios to be developed and visualisaton to be made. The canvases were printed at over a metre wide, and two metres tall… and that’s where the wheels met ideas. The canvases were mounted on large panels on wheels. That means that as the three-day event progressed, the Idea Makers could get feedback by being in one group with five other IM’s, and the following day would wheel their idea to a different group and get completely different input. I love this idea of Ideas on Wheels. It suggests that ideas are constantly in flux – they have a place yet are fluid enough to receive input and find a new space. The concept also perfectly complemented the focus of the event – Public Space – and the wide area in the basement of the Villa Mediterranean, by the sea at Marseille harbour, was filled with 50 huge, movable ideas! I believe great ideas need a voice. Many ideas are created, and few are executed because people do not hear – or listen to – the creativity around the idea. My task as a Pitch Coach is to help idea creators ensure their voice is heard, so that life-changing concepts don’t get lost. This event gave me the opportunity to be a part of giving 50 Idea Makers their voice. I did so with a 7-minute burst of pitching tips on-stage, as well as sharing some inspiration on how pitching can help you turn your idea into a movement. It’s a concept that a hero of mine, Derek Sivers explained in a TED talk years ago, and I picked up one aspect. You are your idea. And people need to believe that you are the person to make it happen. If they do, a movement will begin. Find out more about the creator of The Pitch Canvas© David Beckett HERE. If you need help with improving your company’s presentations or creating an investment winning pitch, contact David Beckett HERE. Why are so many presentations so bad?